Nashville, TN (April 4, 2019) – RCA Inspiration garners a total of seven nominations for the 2019 Billboard Music Awards, with Billboard’s recognition honoring the year’s most successful artists in Gospel. 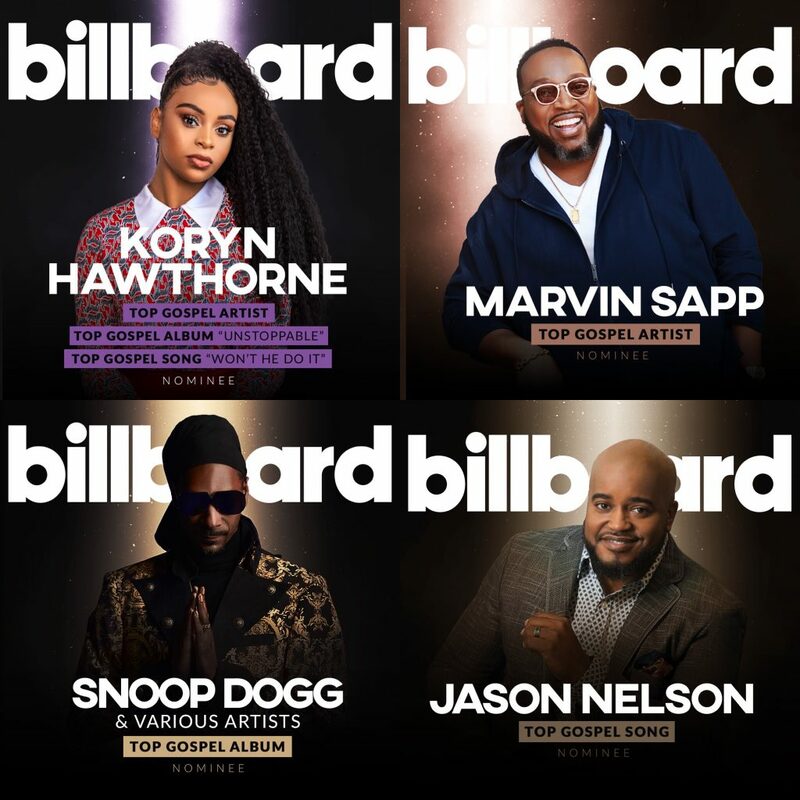 With nominations across all categories, RCA Inspiration dominates the category of Top Gospel Artist, with nominations for Kirk Franklin (Fo Yo Soul/RCA), Marvin Sapp, and Koryn Hawthorne, who marks her first Billboard Music Award nomination. RCA Inspiration garners two nominations each, in the categories of Top Gospel Album and Top Gospel Song, with first-time Gospel nominations for Snoop Dogg, Koryn Hawthorne, and Jason Nelson.